A lush green lawn not only looks great. It's also good for the planet. Keeping your lawn looking good requires planting the right type of grass for it. The right type of grass is influenced by your region and by the conditions in your yard. Once you've chosen the best grass, you want to provide enough water and mow the lawn regularly to help it stay healthy. Why bother to take care of your lawn? Lawn care is important for a few reasons. One is that maintaining your lawn helps boost the aesthetic appeal of your yard. You don't want to be the owner or renter of the one house on the block that has the overgrown lawn with brown patches on it. Good lawn care also has environmental benefits, according to Brown University. Water runoff is a major concern in urban and suburban areas. When it rains, the water needs to have somewhere to go. Concrete sidewalks and paved driveways usually can't absorb the rainwater, so it flows off into storm drains. If there's a lot of rain, the drains can quickly fill up or the drains are forced to pour the excess water into local lakes and rivers, potentially polluting the local water supply. But when people have lawns, the water has somewhere to go. Instead of flowing off of concrete or macadam, the soil on the lawn absorbs the water. Lawns ease the strain on municipal facilities and stormwater systems. Good lawn care is also an important factor in the fight against climate change or global warming. Having a lush, green lawn around a home can help lower the exterior temperature by up to 14 degrees Fahrenheit, according to the University of Minnesota Extension. The cooler it is, the less need a person has for running his or her air conditioner, reducing energy usage in the home significantly. A healthy lawn can also help improve the quality of air around the home. This is particularly true of urban areas, where there might be a lot of dust and debris from cars and other pollutants. The blades of grass on a lawn help to trap the dirt and dust, instead of having it swirl about in the air. Often, the grass is able to breakdown the dust or dirt particles and use them for its nutrition. Alternatively, the particles can reach the soil, where they can be broken down and used to improve the overall quality of the soil. What makes a good lawn? Several elements can determine whether a lawn is in good health and able to benefit a homeowner and the environment. How you care for you lawn and the features you choose to include on it can work together to make your yard great. Not all yards are meant to grow all the different varieties of grass. Several factors influence which type of grass will do best in your yard. One thing you need to consider is your location. Some grasses prefer cooler areas and won't grow or will turn brown and dry up in the heat. Other types are warm-season grasses and need some warmth and heat to thrive. Like all plants, different types of grass have different sunlight preferences. Some need full sun while others prefer or can tolerate some shade. You also want to think about how much wear and tear your lawn will get. If kids and pets are regularly running across or playing on your lawn, you'll want to plant a grass variety that can handle a fair amount of foot traffic. If your lawn is for looks only, a more delicate variety that can't cope with lots of traffic can be a suitable option. If you want more guidance on choosing the right grass for your lawn, the video from This Old House can help. It highlights a few grasses that aren't worth growing no matter where you live, as well as grass types that are good options for either warm season or cool season areas. There's a bit of art and a lot of science involved when it comes to watering a lawn. You not only want to make sure you're giving your lawn the right amount of water. You also want to be sure to water at the right time of day and to make sure you're providing enough water during each session. One thing to avoid at all costs is shallow watering. Think about being thirsty. If you take tiny sips, you're not going to do much to quench your thirst. But if you take a long drink of water, you'll feel better. The same is true for your lawn. If you water the lawn in short increments throughout the day, it's not going to get the moisture it needs to establish deep roots. Instead of watering for short periods, frequently, water for longer periods less frequently. When you water, you want to soak the soil to a depth of about six inches, according to Popular Mechanics. A deep watering will reach the entire root system, helping your lawn to be healthier. When you water also matters. If you water in the heat of the day, that water is just going to evaporate. If you water at night, the moisture is likely to sit on the surface of the grass, increasing the risk for fungal infections. The ideal time for watering the lawn is in the morning, before 10 am, or before the sun is at its most intense. Proper lawn mowing is another lawn care element homeowners often struggle with. There's a delicate balance between mowing just the right amount and mowing too little or too much. The exact mowing height for your grass will depend on its variety, but it's generally recommended that you cut just the upper third of the blades off during each mowing session. Another thing to remember when mowing is to only mow when the grass is dry. Wet grass can cause problems for your mower or lead to an uneven cut. The blades of wet grass can clog the mower, for example. Many lawns feature at least one or two trees. While most trees are suitable for growing on lawns, the type of trees you plant is often influenced by the type of grass you're growing. If you're growing a grass that does well in part shade, planting a tree that has a large canopy and that will provide sufficient protection from the sun's rays can be idea. You also want to consider the root systems of the trees you plant. Lawn mowers can have trouble going over large, protruding roots or might damage the tree if they run over bigger roots. Ideally, you'll want to keep your lawn free of debris. There are few reasons to keep your lawn clean. One is that debris, such as rocks or clumps of soil, can interfere with the lawn mower. 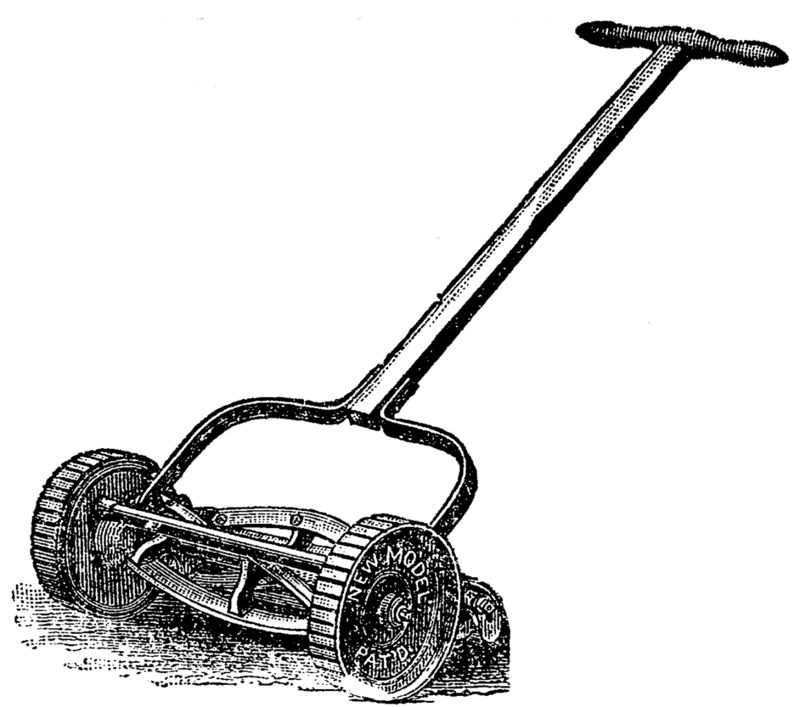 You can damage your mower if you run over a lot of rocks or other solid pieces of debris. The other reason is that a lot of debris can actually harm the lawn. If your lawn is covered in fallen leaves, for example, those leaves can smother the grass and keep the sun from reaching them. The result is a sad, unhealthy lawn. Some types of grass are better planted during the fall while others are best planted in the spring. When you can plant depends on your location and the type of grass you grow. Cool season grass is usually best planted in the fall, according to Penn State. The grass will have two seasons to get established on your lawn (the fall and then the spring) before the heat of summer kicks in. You want to plant warm season grasses, which do better in the heat, in the spring, usually between March and May. Warm season grasses typically need temperatures to be at least 75 degrees Fahrenheit before they will grow. In my view, lawn and landscaping go hand in hand, and if you're here, you probably care about your lawn looking good in addition to being healthy. To that end, I like to DIY a lot of my landscaping as I'm working on my lawn. Here's ﻿a ﻿﻿great article I've been coming back to for the past week or so on how to execute awesome landscaping designs on a budget. Are you ready to have your lawn be the envy of everyone on your block? We've got lots of informative articles on lawn care to help you out. Check out the sidebar to learn more about how care for your lawn and keep the grass looking as green as can be. There is roughly 63,000 square miles of lawn in the United States.